Good Gravy Coal, why don’t you tell us how you REALLY feel! Lesse. She was a slave that did all the work the “important” people couldn’t be ased to. She probably know how to do more then you Coal, your job being mainly sticking people with a sword, and you got killed doing that, didn’t you. Coal isn’t listening to you, I must say. Tsk, RUDE! 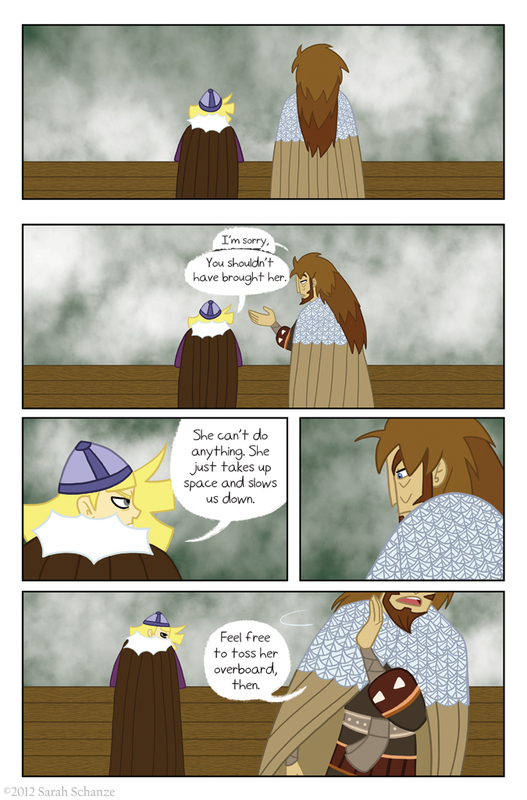 Badmouthing poor Hedda AND interrupting Loki’s speech bubble! Coal is the best at being rude. Jeeze, Coal, stop being such a Grumpy McGrumppants. You will not regret having a fine Irish lass aboard. I haven’t seen the Avengers, so I can’t say!